Last Friday at Budapest Airport: Eleven managers stuck their shovels into the soil and dug small holes, applauded by roughly 100 handpicked invitees. A symbolic groundbreaking act for building the first section of a much-needed new cargo city, costing in its initial phase €32.6 million. The project includes a cargo warehouse measuring 200 m (length) x 75 m (width) x 11.5 m (height). 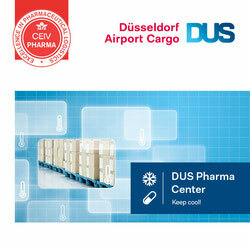 In total, the facility encompasses 20,000 square meters, enabling air freight handling of 200,000 tons per year. Part of the project is to supply ample office space, accommodating forwarders, airline staff or customs officials. This is complemented by a large apron where two Boeing 747-8 freighters can be parked simultaneously. 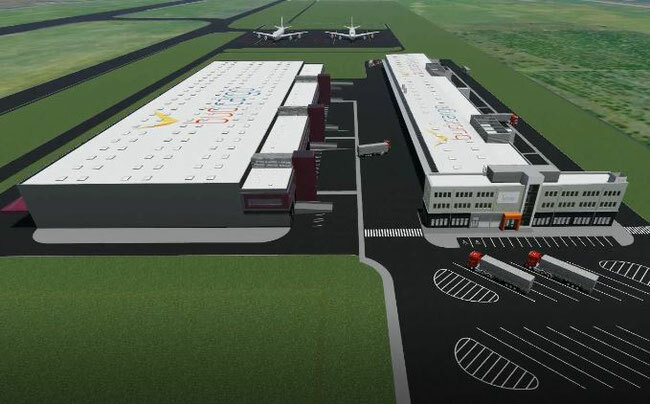 Financed out of the pockets of private operator Budapest Airport Company, the cargo complex is a key component of the five-year BUD 2020 airport modernization and development plan, given the go-ahead in 2016, with forecasted expenditures in the region of 160-180 million euros. This, in turn, is part of a larger renovation program of €500 million, kicked off back in 2007 and aimed at upping the standards of passenger terminals and enlarging the ground infrastructure. Meanwhile, BUD is an airport that has no need to shy away from comparison with most of its western European peers. 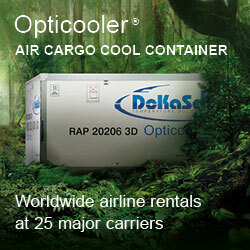 However, air freight is still a problem child, offering users poor standards. But not for long anymore, as emphasized by most speakers at the Groundbreaking Ceremony. For instance, such as René Droese, BUD’s director Business Unit Property and Cargo. He speaks of a new era in cargo when the first shipments will be processed at the new cargo complex in about 12 months from now. Droese pointed out that building a new cargo city from scratch is a unique opportunity to operate with high efficiency and reliability. Once accomplished, he is convinced that BUD will ascend into the major league of European freight airports. … but tomorrow pace setter in cargo? A start for reaching this mid-term goal has already been made, evidenced by the growing number of all-cargo carriers serving the Hungarian capital. Lately, AirBridgeCargo and Silkway West have joined the club of which Cargolux, Turkish Cargo and Qatar Airways Cargo are belonging to for some time already. Currently, 13 freighter flights are operated in BUD per week, not counting the integrators DHL, UPS or FedEx/TNT that have daily or double daily (DHL) freighter flights to/from BUD. The capacity offered by main deck carriers is complemented by passenger airlines such as Air China, Emirates or Polish carrier LOT that are serving the airport frequently, uplifting 10 to 12 tons of freight in their lower deck compartments each departure. Droese points out that imports and exports handled at his airport increased by no less than 39% over the past two years, reaching 127,145 tons in 2017, and could approach the 150,000-ton threshold at the end of this year. What triggers him particularly is the fact that in the eyes of the management the role of air freight is strategically equally important as the passenger business. This bottleneck situation will end in twelve months when all cargo activities will be concentrated in the new facility. This must be music in the ears of forwarders and handlers considerably easing their daily workload. But not only for them are the new facilities, once operational, a quantum leap. 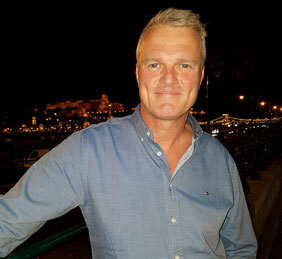 Also, the industry will greatly benefit, indicated Róbert Ésik, president of the Hungarian Investment Promotion Agency (HIPA) in a statement. “Hungary is the world’s seventh most popular investment destination, according to a 2017 market report from America. The construction of the Cargo City contributes greatly to the success of current investment projects and to attracting new ones,” he said. Seen by Audi, Volkswagen or Mercedes, that set up new production sites or enlarged existing facilities lately, with their component suppliers following suit. The same goes for Far Eastern companies like Samsung and Huawei that chose Hungary as a main European production site. They all benefit from the lower wage level compared to western Europe, well-trained labor forces, and the business-friendly policy of the government. This all results in a fairly balanced import–export ratio of goods, a two-way traffic, making that market attractive for cargo carriers. This is supported by incentives launched by BUD’s airport management: A new cargo airline is exempt from landing fees for an entire year. Precondition is that it operates two flights a week for a period of at least six months. 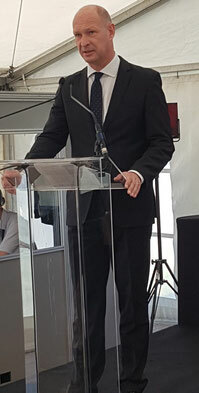 Budapest Airport’s management enjoys a high degree of entrepreneurial action coupled with valuable support given by local authorities, following the privatization in 2007, Rene Droese confirms. Since then, the place is owned and run by a consortium consisting of AviAlliance (former HochTief Airport GmbH), holding 55.44%, Malton, a subsidiary of the Singapore Investment Corporation (23.33%), and the Canadian Caisse de depot et placement du Quebec (21.23%).